Tonight Iyer presents excerpts from a recent collaboration with mentor and composer-trumpeter Wadada Leo Smith* whose A Cosmic Rhythm with Each Stroke the New Yorker’s Alex Ross likens to “a post-apocalyptic utterance,” as if Iyer and Smith are “the last people left on earth, wanderers in a wasteland.” Iyer will also share the stage for music and conversation with dynamic drummer-composer Tyshawn Sorey, who will perform a duet with Iyer; acclaimed violinist Jennifer Koh, performing Esa-Pekka Salonen’s lyrical Lachen Verlernt; and pioneering composer and scholar George Lewis. *Wadada Leo Smith regrets that he cannot perform tonight because he has injured his back and is undergoing treatment. 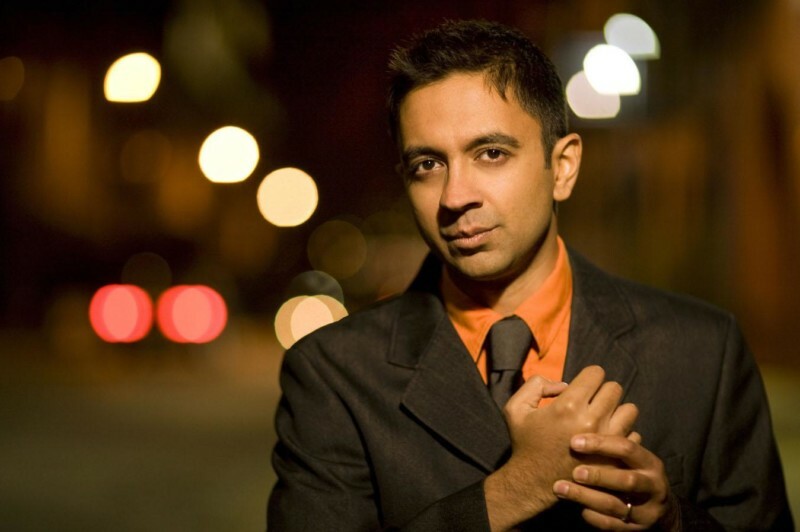 Award-winning saxophonist-composer, and longtime Iyer performing partner, Rudresh Mahanthappa has graciously accepted to fill in and will conclude the show with a duet with Iyer for piano and saxophone. This event is presented in partnership with the 2017 Ojai Music Festival in California where Iyer is serving as music director, and were he will be joined by diverse artists, including the above, for a four-day festival of premieres and bold new music. For more information about the upcoming Festival, please visit www.ojaifestival.org.